There's nothing like a beach vacation: the sun on your face, salty sea air, gently crashing waves, and...oh, wait. Did you forget to pack sunscreen? Where's your book? Once you're comfortable on the lounge chair, the last thing you’ll want to do is make the trek back to your hotel room or car for a needed and forgotten item. 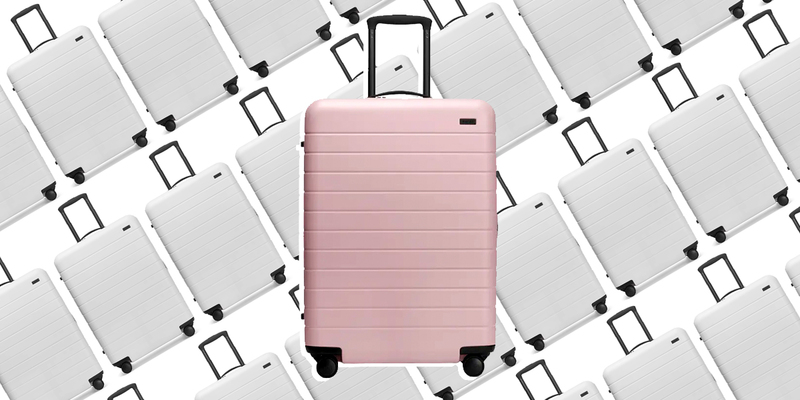 Here's how to pack the perfect beach bag, so you can enjoy your beach day to the fullest. One thing is for certain: Sunburn is never fun. Avoid going from bronzed to burnt with a little preparation and a lot of preventative measures to (safely) soak in the sun. First things first, make sure you throw some sunscreen into your beach bag. An SPF 30 or higher is recommended, and look for a brand that offers coverage against both UVA and UVB rays for the best protection. A spray sunscreen works wonders for hard-to-reach places like your back, and a chapstick with SPF is exactly what you’ll want for the thinner, more sensitive skin on your lips. Sun protection should also come in the form of cover-ups, hats, and sunglasses. These items not only block the sun, but they’ll make sitting outside on a sunny day at the beach way more comfortable (and stylish) overall. Sometimes the most obvious items are the easiest to forget. Unless you’re staying at a hotel that provides beach towels, make sure to roll up a quick-dry version and tuck it in your bag. Sarongs do double-duty as a cute cover-up look and lightweight towel. For long beach days, bring a larger blanket or sheet to really sprawl out. 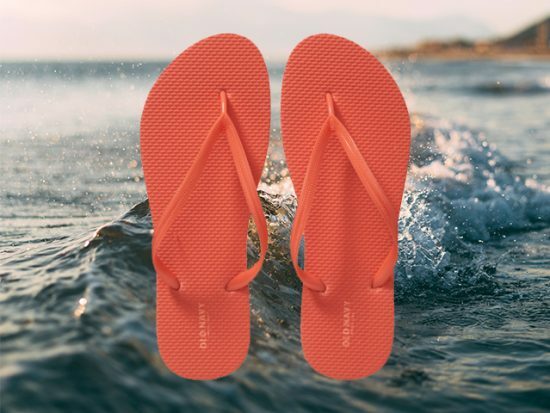 Pack some lightweight sandals, since afternoon heat can make walking barefoot on the sand absolutely unbearable. And don’t forget to throw a clean and dry pair of underwear in your bag, to avoid going to dinner in wet bathing suit bottoms. Break up sunbathing and swimming with a little entertainment from your beach bag. There are few things better than cozying up with a good book on the beach, so literary lovers will want to grab the latest bestseller or—even better—read it on an e-reader. 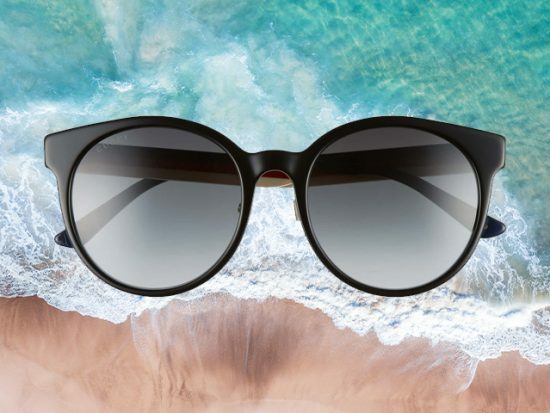 Unlike smartphones or tablets, these devices offer glare-free reading no matter how brightly the sun shines, and some are even waterproof (just in case). 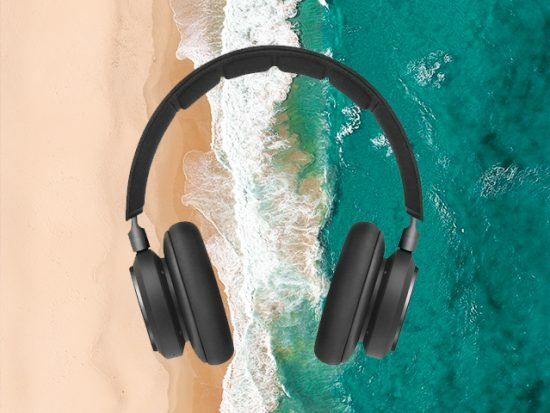 If you prefer music or podcasts, bring portable speakers or headphones. Wireless options prevent tripping over tangled cords on your beach towel. And of course, the beach is a prime place for activities like frisbee, boogie boarding, or volleyball if you’re feeling especially sporty. Basking underneath the hot sun is sometimes just as draining as it is delightful. Even if you’re treated to attentive hotel beachside service, it’s wise to have snacks and drinks on hand. We’re not talking about an entire picnic, but choose a few treats that will stand up to the heat. Think: granola bars, dried fruit, chips, or grapes as a little something to nibble. 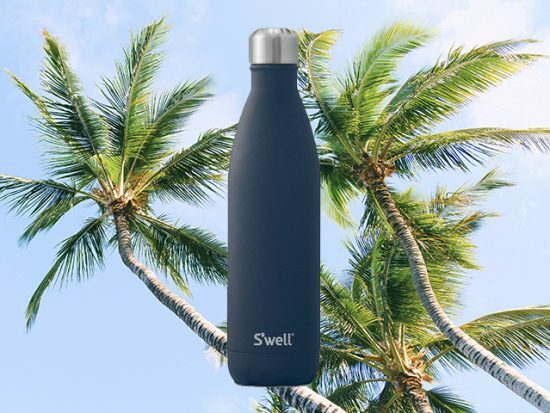 The best way to keep water (or something stronger) cold is with a vacuum insulated water bottle—it keeps drinks chilled for 24 hours (be sure to add ice) and doesn’t create any condensation, so say a sweet goodbye to sticky clumps of sand clinging to your bottle. 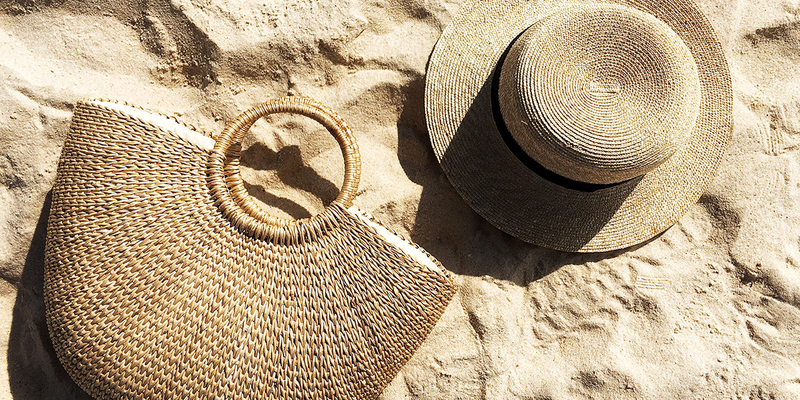 Obviously, you don’t want an excessive amount of cash in your beach bag, but a few small bills come in handy. Tuck away some ones and fives to pay for parking or tip any employees who help set up beach chairs or deliver drinks. You may also find beachside vendors who rent snorkeling gear and sell souvenirs. And don’t forget those beachy cocktails complete with a pineapple slice and a tiny paper umbrella. 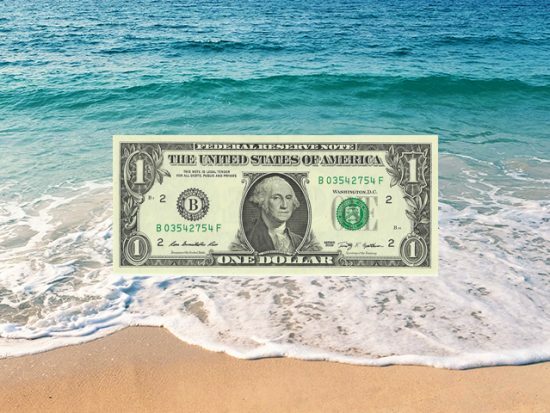 In beach situations, paying with cash may be the easiest or only option. You gotta get that ‘gram by the beach, but you also want to keep your phone and camera safe—both from potential thieves and the water. 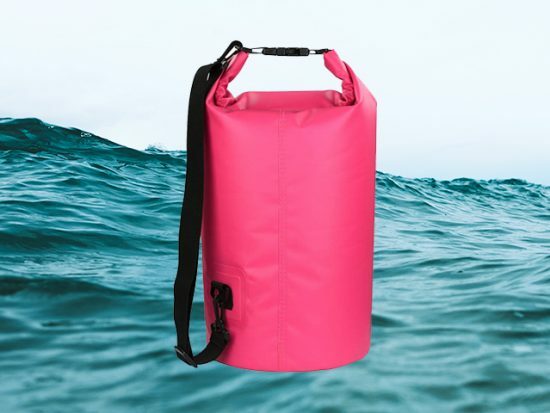 A waterproof dry bag is a beach lover’s lifesaver. Simply place your valuables inside, roll the top down until you can clasp the buckles tightly closed, and dive in the water. The interior stays dry and the bag stays safely on your person at all times. There are also smaller waterproof cases designed for keys, credit cards, and cash. These hang around your neck from a lanyard or wrap around your arm like a bracelet. And if you’d like to snap some shots from the water, bring a waterproof phone pouch or camera case to take underwater selfies worry-free.